We continue to show you the results of the LG Design the Future Competition and today we’ve found the LG Flutter concept smartphone. This device received the first-ever Prop Mater’s Choice Award, given to Dua Xiong for the great design shown below. 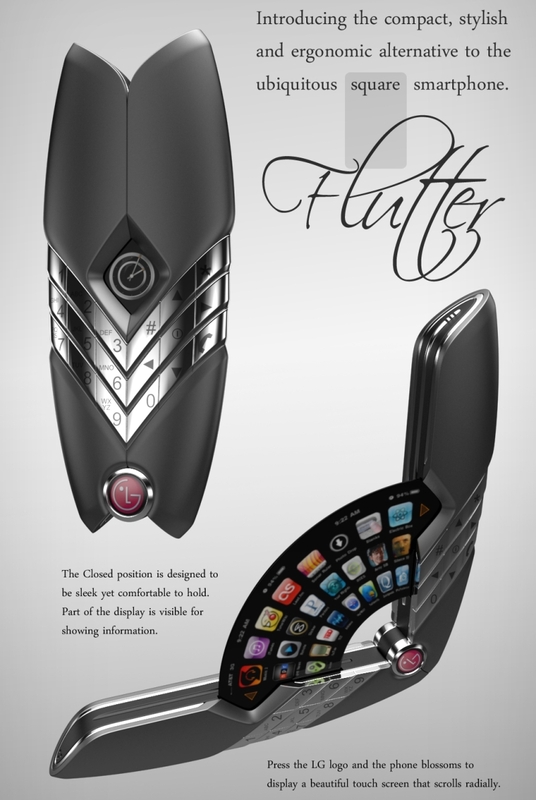 The LG Flutter concept phone will have the unique opportunity of being featured in a future blockbuster film. This smartphone opens up like a fan, as shown in the image above and reveals a flexible OLED touchscreen display that scrolls radially. Since this is a device that tends to look like a weapon, we’ll speculate that it’ll be featured in a superhero movie… or maybe a sci-fi production?